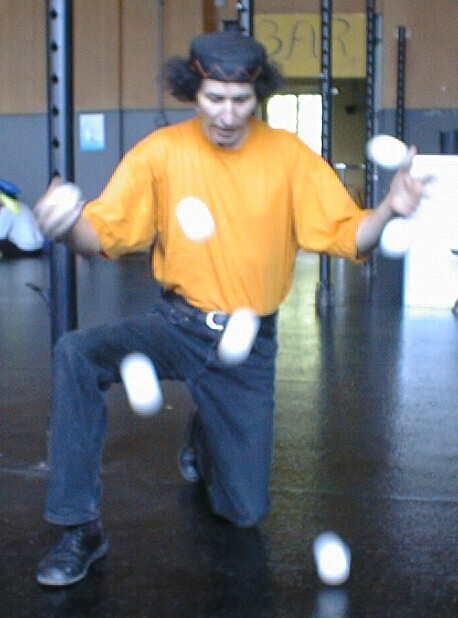 As the 12 previus Swiss Juggling conventions, the 13th Swiss Juggling Convention was a big success, with about 200 jugglers from Switzerland, Germany, France and other countries (such as Australia). 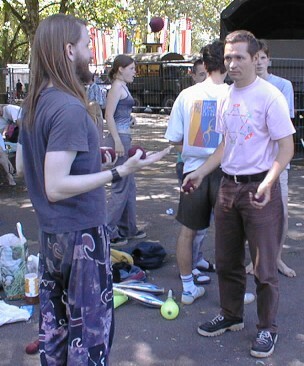 It took place from the 11th to the 13th of June 1999 in Olten, a town in the german middle west part of Switzerland. 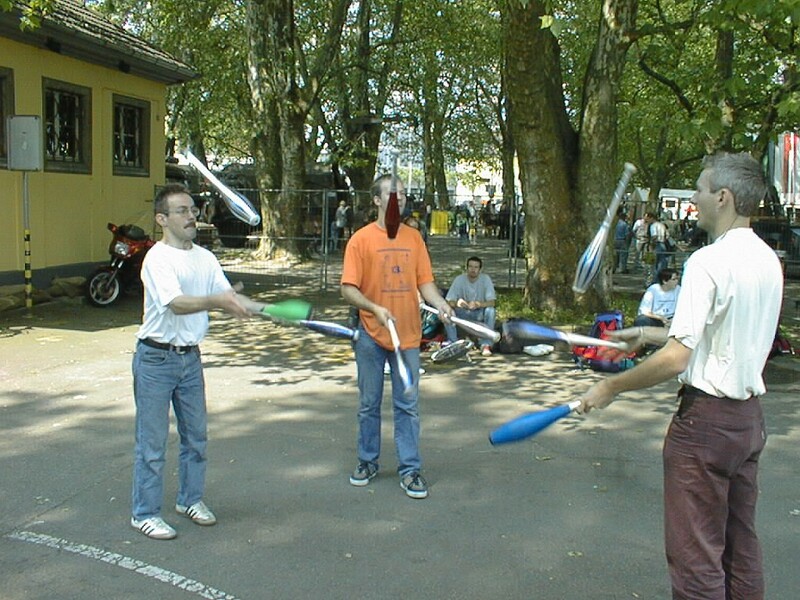 Swiss conventions continue to be simple, with not too much jugglers, allowing a familly feeling with many human contacts. 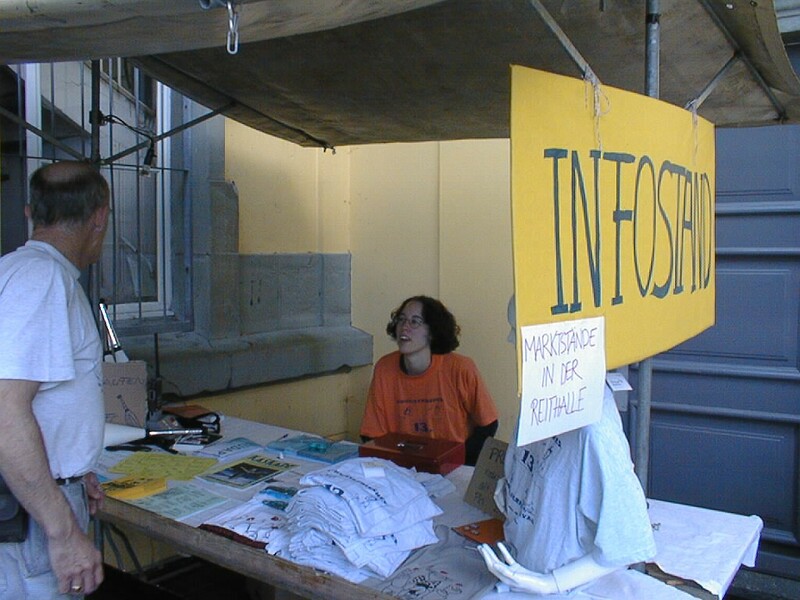 Many workshops took places, outside, in the sun and inside in one of the two gym hall. Some where anounced, but many where spontaneous. The public show began at 8.30 p.m., and lasted 1 hour and a half with a 20 minute break. The show announcer was Henry Camus. His is simply excellant with his ease at improvising in any situations. We where really lucky with him. As always, the actors was a mixture of amateurs, semi-professional and real professional. This gives the show its special beauty and naïvety. The games lasted from 13.00 to 14.45 with the participation of nearly everybody. 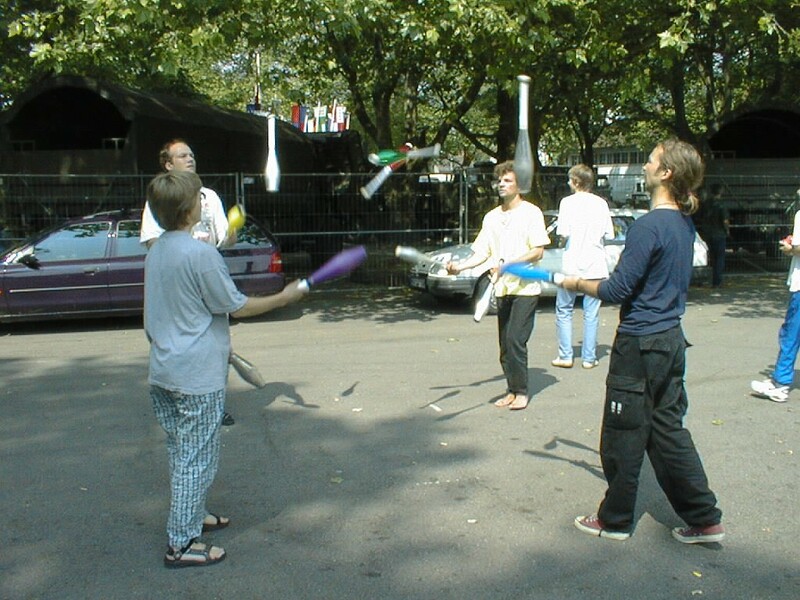 Many unusual games took place, like the unicycling limbo dance, encouraging young jugglers to participate. 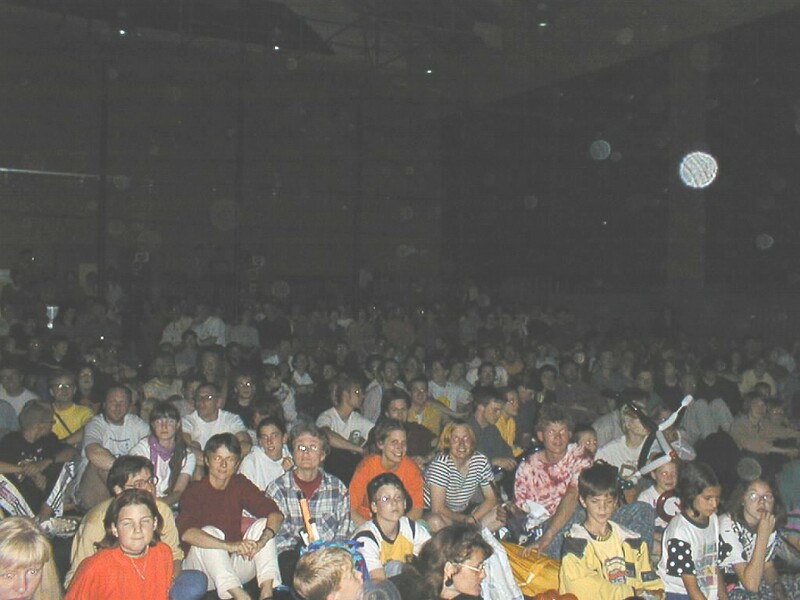 Here are some photos taken during the convention. Adi Heutschi, Didi Marti, Martina Fricker, Sabine Hunkeler Hinninger, Felix Hunkeler Hinninger, Roland von Däniken, Bix Meister. - Martina Fricker, (bigger), Patiently giving information at the info desk. - Antonio Bucci, (bigger), The bouncing ball master with 7 balls. 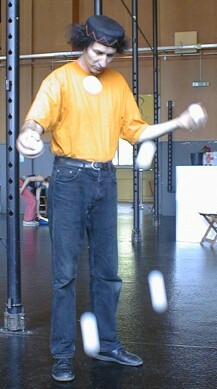 - Antonio Bucci 2, (bigger), The bouncing ball master on the knees with 7 balls. 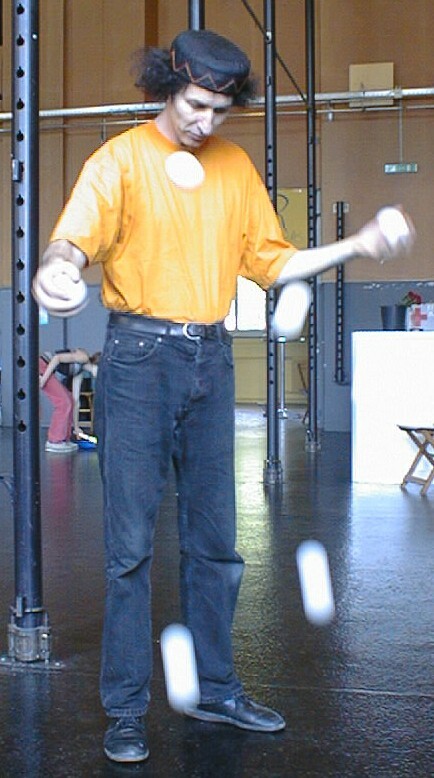 I saw him juggling 9 balls during 15 seconds, 10 years ago ! - The sunday breakfast. 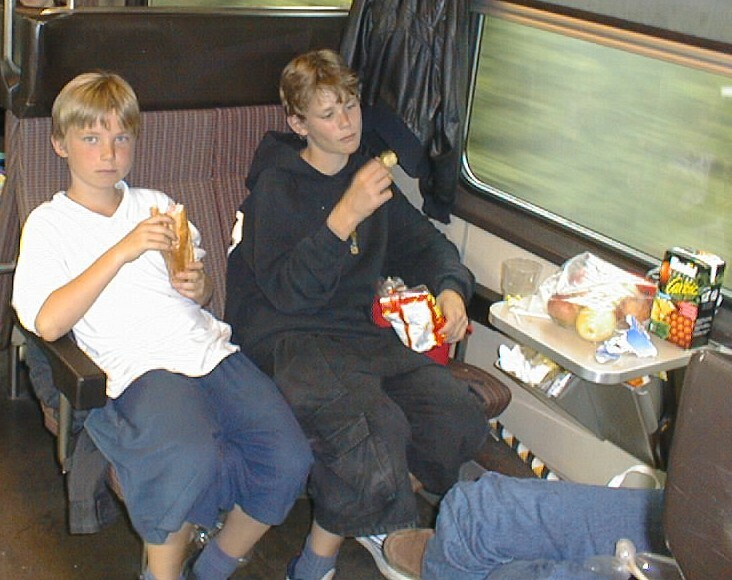 (bigger). Old friends from conventions. 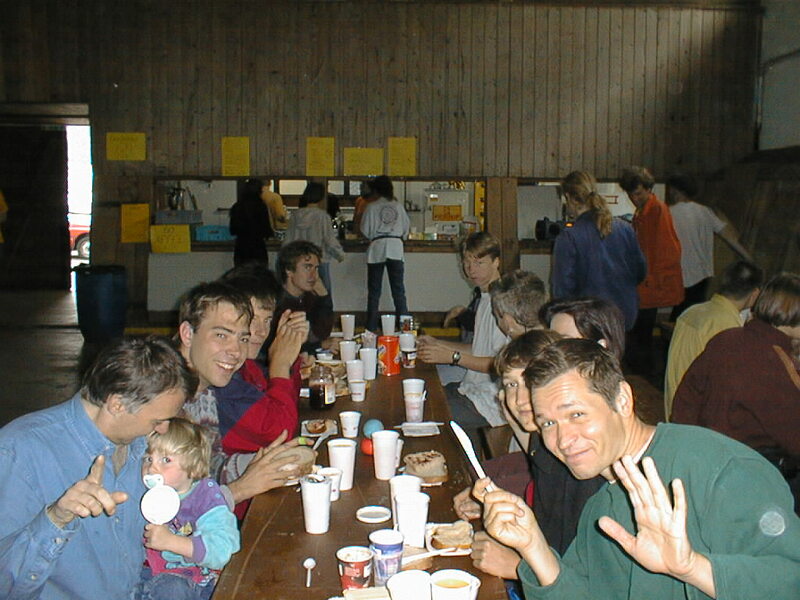 - Happy participants, (bigger). Prisca, my wife Melinda, Susan and Rolf. - Bruno and Allan passing too many balls, (bigger). 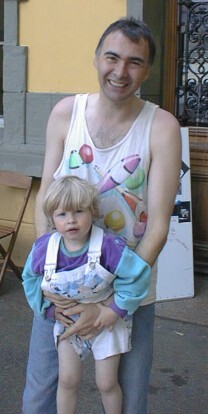 - Manfred and his kid, (bigger). - Manfred and his kid doing acrobatic, (bigger). - Marc von Aarau, (bigger). I whish I could learn at least half as fast as he can. 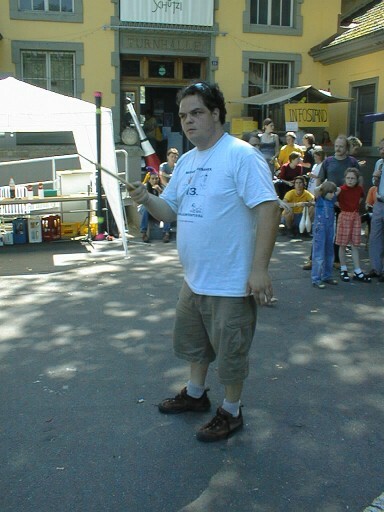 He is also incredible with devil sticks. Thanks for his participation at the public show. - Marc (another one) with his diabolos, (bigger). Thanks for his participation at the public show, with an occasional partner. - Res Ryser and his diabolos, (bigger). Thanks for his participation at the public show with his fire sticks. - More clubs passing, (bigger). 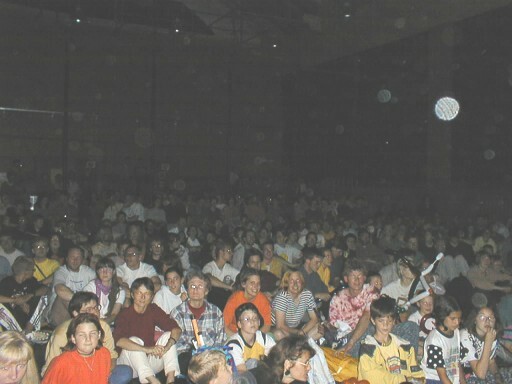 - The public show crowd, (bigger). - Back in the train, Robin and Jeremy, two young participants, (bigger). Clic on a little image to get a medium one. For a bigger image, use "bigger" link after the names above.